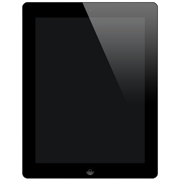 Looking for a solution about how to transfer Movie from iPhone to iPad? Follow iMobie expert’s advice to make it in 3 Steps. 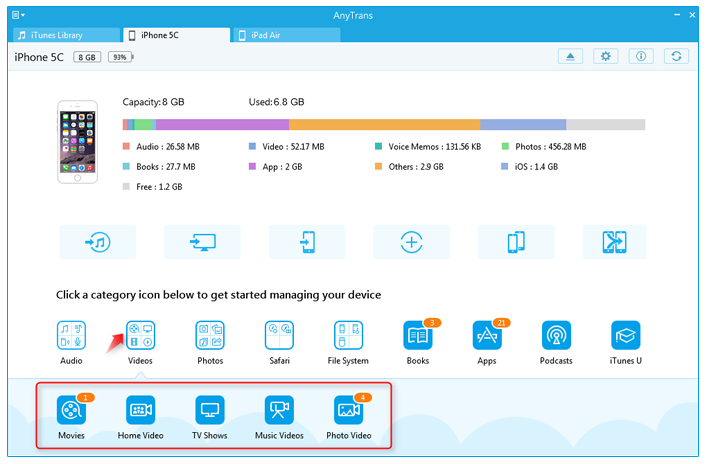 Download AnyTrans to quickly transfer movies, songs, pictures and videos from iPhone to iPad, compatible with any iPhone and iPad model. We have several iPad mini in my family and would like to use our iPhone as a way of keeping our movie libraries on each device in sync. You normally download music to iPod with iTunes. Can you transfer movie from iPhone to iPad mini? Just get a new iPad and want to transfer movie from iPhone to this new iPad? 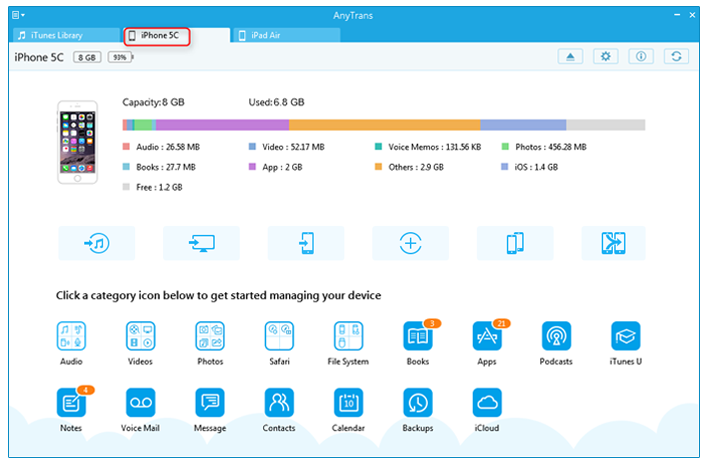 Apple iTunes gives a general solution for syncing iTunes library with iPad but probably you still need a third party tool to directly transfer data from iPhone to iPad. As long as you keep using iTunes, you'll find it is impossible to get movie transferred among multiple devices. At this moment, you can simply find a versatile iTunes Alternative for iPhone/iPad/iPod management. We recommand you AnyTrans because of its flexibility. Thanks to supporting multiple devices at once, it will copy movie from iPhone to iPad mini/Air/Pro with one single click. We provide free trial download for AnyTrans so that you can try it without any charge. By the way, to use this app is pretty easy no matter you are an experienced user or not. After few seconds’ installation, you'll see below main interface of AnyTrans. Connect your iPhone and iPad with computer via USB cables. 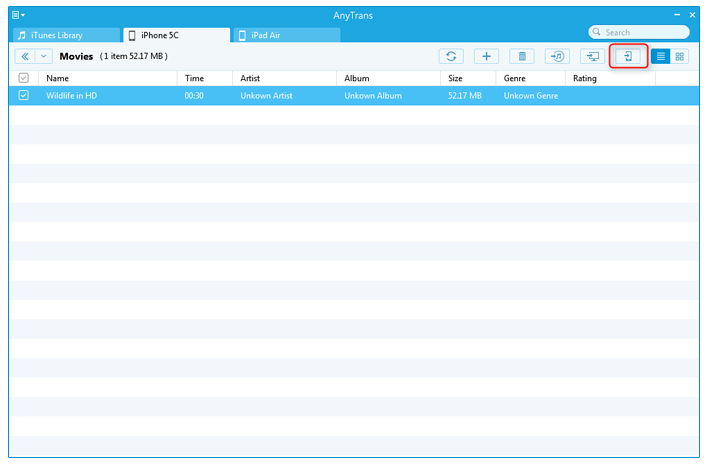 AnyTrans will automatically load all media content on your devices and also iTunes library. You can also give it a check on how many free space remains. After plugging in your devices, choose iPhone and click its Video > Movies. Select movies you want to transfer, and click To Device button to move them to your iPad, which may take you some minutes if the movie is large in size.